Each company looks for a different mix of skills and experience depending on the business it’s in. Yet it’s not possible enough to be a functional expert in every field. But certainly to complement these unique core competencies, there are certain “Employability skills” every company looks for in a potential hire. While your education and experience may make you eligible to apply for a job, to be successful in the role you will need to exhibit a mix of skills: This means that the specialist, technical skills associated with different roles may be less important than the ‘soft skills’ that can be transferred between different jobs and different employment sectors. We all need to be flexible in our working patterns and be prepared to change jobs or sectors if we believe there are better opportunities elsewhere to suit your job profile. In order to be flexible we need a set of ‘transferable skills’ – skills that are not specific to one particular career path but are generic across all employment sectors. Employers are often looking for skills that go beyond qualifications and experience. For employers, getting the right people means identifying people with the right skills and qualities to fulfil the role and contribute to the organization’s success. Well, what are the Employability or transferable Skills? Do you possess these skills sets? Employability skills are those skills necessary for getting, sustaining and being successful in a job. They are the skills and attitudes that enable employees to get along with their colleagues, to make critical decisions, solve problems, develop respect and ultimately become strong ambassadors for the organization. Employability skills are the foundation of your career building blocks and they are frequently referenced in the job market as lacking in school-leavers, graduates and those already in employment. Organizations spend a lot of time and money training staff, not in job specific areas but in general and basic skills. In times of high unemployment, employers have more choice of applicants and will favour those with well-rounded employability skills. While different roles require different skill sets and abilities the below outlined transferable or employable skills are desirable across all employment sectors. Interpersonal skills are vital when seeking employment and may be the single most important factor for many recruiters. Interpersonal skills are the skills we use to interact with other people. Good interpersonal skills allow you to participate effectively as a member of a team, satisfy customers and clients’ expectations, negotiate, make decisions, manage your time efficiently, take responsibility, and work effectively with other employees. Well-developed interpersonal skills allow us to empathize and build rapport with colleagues and clients, leading to a better working environment which can be less stressful. Employers look for people who communicate well both verbally and in writing. If you are either applying for a job or looking for a promotion with your current employer, you will need to demonstrate good communication skills. The ability to communicate both verbally and in writing with a wide variety of people, maintain good eye contact, write clearly and concisely, demonstrate a varied vocabulary with relevant jargons and tailor your language to your audience are all essential skills that employers seek out. Good verbal and written communication means you can get your messages across effectively with less chance of misunderstanding. Similarly, the most important and vital is the listening skills which involve not only hearing but also gaining and understanding information. Listening is a basic requirement leading to fewer mistakes and a greater understanding of the needs of employer and client. As your career progresses, the importance of communication skills increases since as well as creativity, people skills, and an aptitude for teamwork, the ability to speak and write with clarity and conciseness is essential for any job profile. The ability to solve problems and help in making decisions can be a huge asset to your employer and these are therefore desirable skills to develop. Decision making and problem solving require gathering reliable information, evaluating the information for a variety of solutions and selecting the most appropriate option based on the criteria and situation. Although the ability to solve problems and make appropriate decisions are critical in any job, people with these skills are especially helpful in customer service and front desk positions. The ability to be able to effectively plan and organize means that you as an efficient team member, or leader with your great team management skills, who are more likely to get the job done correctly the first time. These skills are beneficial to employers as they save time and money. Planning and organization also require the recording of information (maybe in a report) which can be referred to when planning future projects. Creative thinkers are innovative and inventive and are more likely to come up with new ways of doing things that add value to the work environment, making systems and procedures more efficient. Creative thinkers can offer new perspectives about the job and the company. Personal Excellence is all about having the right attitude with right body language towards work and the organization you work for. Employers look for people who are keen to develop and learn. Lifelong learners are always valued in organizations. In order to stay ahead of the competition, organizations need to continually learn and develop better ways of doing things. The employee who is open to learning and embraces change will be more successful than the person who is afraid of learning and resistant to changes in the organization. Most jobs involve change, some more frequently than others, and employers want people who are adaptable, flexible, and patient, and respond who well to change. Personal Excellence is also concerned with how individuals evolve their working practices and attitudes to work. Self-motivation and confidence and discipline are the key areas of personal excellence as is personal appearance and how others perceive you. Self-management skills, also known as ‘self-awareness’, are the skills we use to manage our personal feelings and how we react to challenges and problems both at work and in our private lives. Personal development includes learning to avoid potentially negative emotions such as anger and stress while developing assertiveness and effective negotiation skills. Whether you are an administrator, manager or executive, you should expect to present your ideas and findings to your work colleagues and external stakeholders. Presenting information does not just include making formal presentations – information could be presented in the form of notes, reports, research findings, business plans, scenario planning, and strategic documents. You may well be asked to give a presentation of your achievement and accomplishments as part of your initial interview. Leadership is the ability to influence others toward the achievement of a goal. Leaders either have, or are perceived to have, strong self-confidence. Leaders are team players, allowing them to work in a group to achieve the best results for their employer. Leaders show social skills by respecting the thoughts, opinions and ideas of others – they gain the respect of others and aim for credibility. Numeracy involves an understanding of numerical data, statistics and graphs, and is also part of making decisions and reasoning. Numeracy skills are very important, irrespective of whether you consider a job to be “working with numbers”. Having competence and being confident in working with numbers is a skill that can be used to your advantage in a wide range of employment settings: for example, knowing how profitable a company is, understanding value for money when purchasing and ordering supplies, following a budget or just calculating your holiday time. Being able to understand and analyze data in different formats is considered an essential skill in many organizations. Most people need some IT skills to find work today. Acquiring basic IT skills and being familiar with using a computer may open up a wide range of employment opportunities and increase your marketability in the workplace. It is likely that a modern job will require you to be familiar with at least some computer applications. Computer literacy means understanding what computers can and cannot do. Even if you know that you will not be using a computer in your job, it is well worth your while learning some of the basics of information technology, for example how to send and receive emails, use the internet effectively, and use word processor and spreadsheet software. for more ideas and tips, please add comments with your email id and follow us. 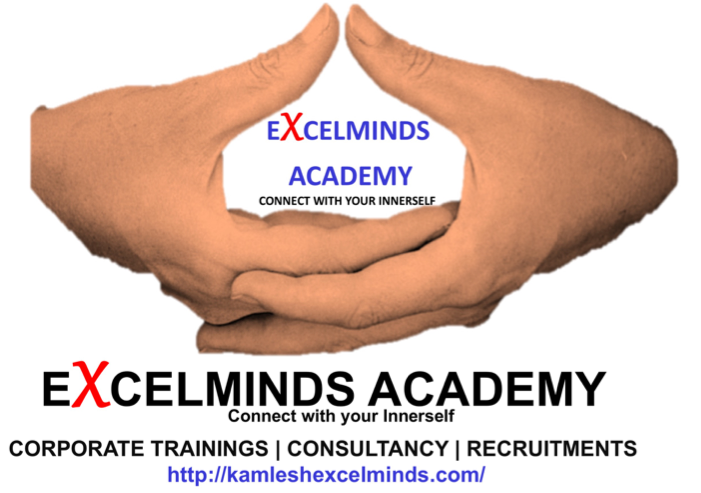 Book your soft skill training session today to witness the change and elevate your business.